Born at L’Islet, Quebec on 12 November 1853, son of Walter Burke of Galway, Ireland, he was educated at the Ste. Anne’s College and at Montmagny Business College. He took a two-year course in civil engineering at McGill University and was admitted as a provincial land surveyor for Quebec in 1874. He was director of surveys for Richelieu County from 1877 to 1879. He settled in Manitoba in 1880 and was employed for three years in the subdivision of townships. He then went into business at St. Charles. 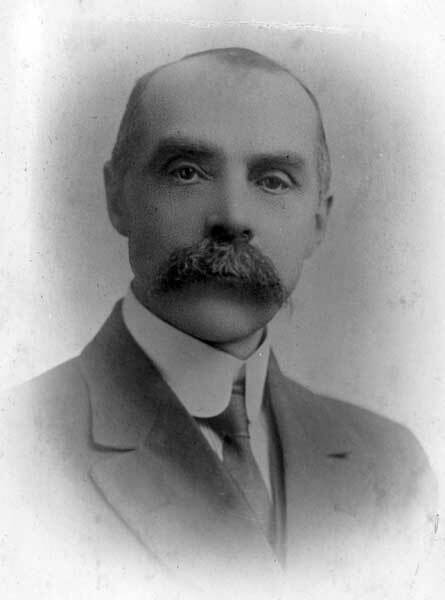 He was acclaimed to the Manitoba Legislature in 1886 and, in 1888, was appointed Provincial Secretary in the Harrison government. He had to seek re-election and was defeated in a January 1888 by-election by F. H. Francis.